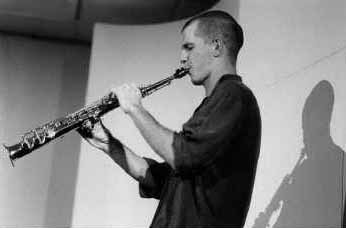 With Jazz as my background, I have been playing soprano saxophone in several ensembles of improvised and experimental music as well as composing and leading my own interdisciplinary projects in acoustic art. I have worked on the musicality of spoken words and unusual aspects of spoken communication and produced text-sound compositions featured in live performances, radio broadcastings and recordigs for labels of experimental music. In my work I move on the line between sound antropology and composition. Field research and interviews often build the basis for my abstract compositions. As a saxophonist I’ve developped an instrumetal language that incorporate extended techniques, noises, and a strong influence from electronic music. Present time activities include a text sound composition based on afasics and handicaped voices, and an acoustic art project featuring the whistling language from Gomera island. 2003 Radio art prize “Element” from La Muse en Circuit, Paris. 1998 luky, radioplay, author production.